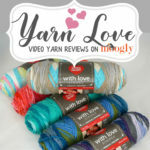 Yarn Love: Red Heart Colorscape Review on Moogly! Red Heart Colorscape is a lovely, brushed yarn that’s non-allergenic, and features gorgeous “painterly” colorways. 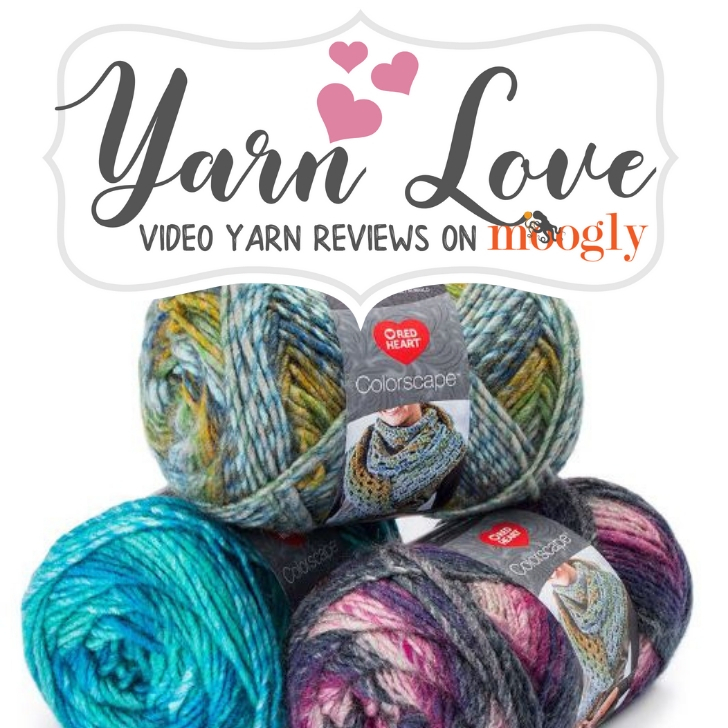 Let’s take a closer look at Colorscape in this month’s Moogly Yarn Love yarn review – and I’ve got 14 free patterns for you to try it out with too! Available in 12 Colorways – all named after different cities! From Acapulco and Bangkok to Paris, Seattle, and Rome – how fun is that? What would you like to make with Red Heart Colorscape? 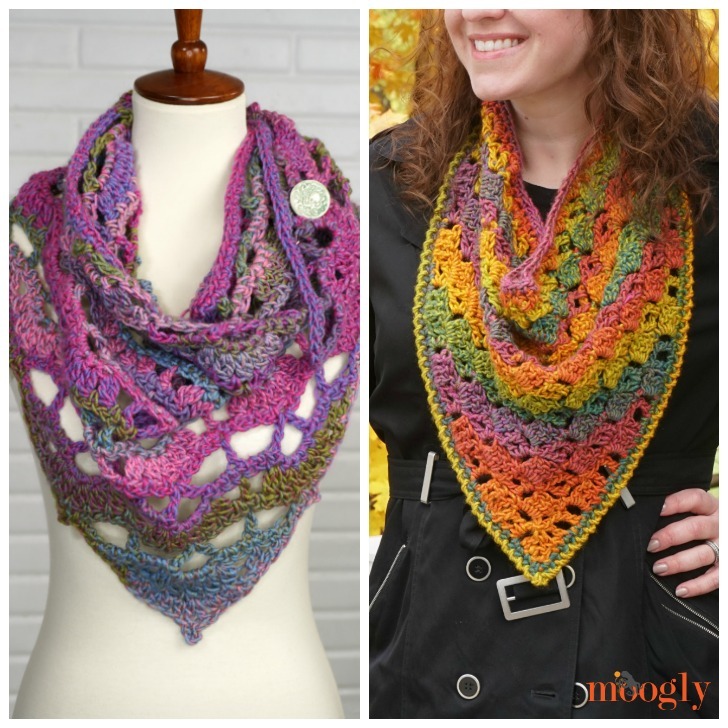 So far I’ve designed two crochet patterns with this yarn – the Tuscan Moon Shawl and the Harvest Bandana Cowl! 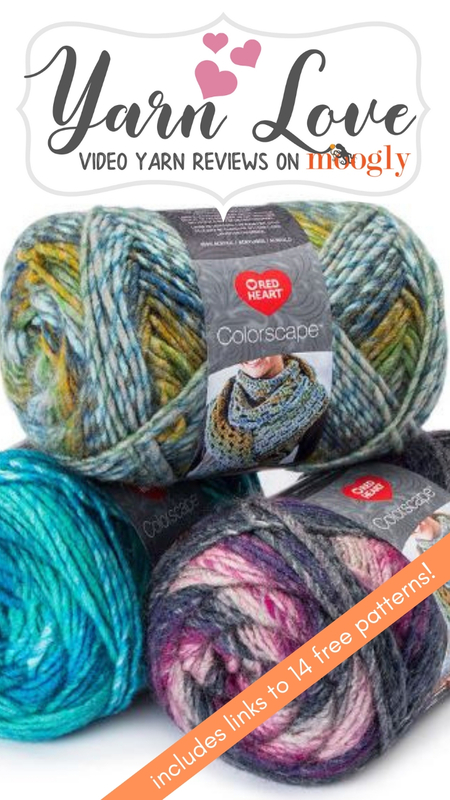 And Marly Bird has three free patterns for Colorscape too! 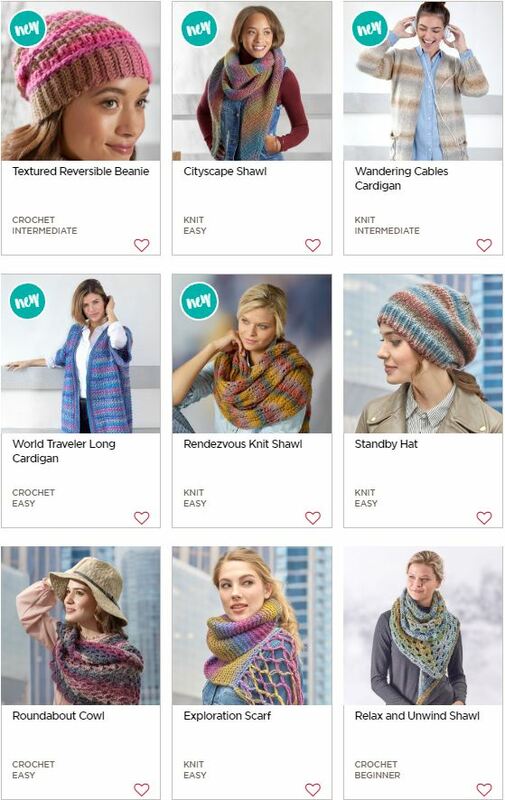 I hope you’ll give Red Heart Colorscape yarn a try today! 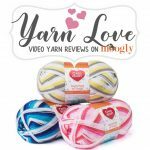 And last but not least, here’s a pin to save and share this review with your fellow yarn lovers on Pinterest! Get Moogly on your favorite social media sites: Facebook, Twitter, G+, Pinterest, Instagram and Tumblr! And sign up for the free newsletter at the top of the page so you don’t miss a thing! This post was sponsored by Red Heart Yarns. I am trying to decide! I have 20 bucks at Joann’s which will get me two. This looks amazing! Hope to see this yarn available in Wal Stores across the country.